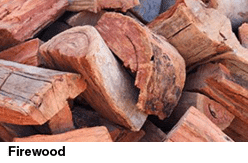 Looking to buy wood chips or mulch in Sydney to give your landscaping that professional finish? Wood Chip and Mulch not only looks good; it also has a very functional purpose for your garden. It provides a thick protective layer that helps to hold moisture in the soil, which stops your plants from drying out as quickly and reduces the need for frequent watering. Garden Mulch can protect plant roots during harsh winter and summer weather, inhibits weed germination and, depending of which type you use, it can also give your garden a boost of nutrients as it breaks down. So, what is mulch? The mulch and Wood Chip at Turtle Nurseries is organic material made from timber off-cuts from sawmills and by-products of tree removal and trimming, which is spread or laid over the surface of the soil. We also have in stock lucerne, sawdust and sugar cane mulches. In all, Turtle Nurseries stocks sixteen different types of mulches and chip at our two convenient centres at Rouse Hill and South Windsor. Our mulch comes in different types, giving it infinite possibilities for use. See below for the latest Mulch price. This product is the bark from plantation grown pine. Renowned for moisture retention and weed suppression, pine bark gradually decomposes, adding hummus to your soil. Pine bark is available in three different sizes. Choose the size you need by applying the ‘rule of thumb’. The larger your garden, the larger the bark should be. For pots use 10mm, for large, wide gardens use 25mm, and if you can’t make up your mind, go for the ‘middle of the road’ choice – 14mm. Pine flake mulch is created from the trunks of the pines being smoothed after they have been felled. Stringy and creamy in colour, this mulch adds a distinctively different texture to your garden. What does mulch do? Known to enhance soil quality as it decomposes over time, pine flake mulch is popular on windy or steep-sloped sites because of its ability to bind together, forming a barrier to attempted movement while exhibiting the properties of moisture retention and weed suppression known to other mulches. Apply in layers 50–100mm thick for optimum results. The oil from the Tea Tree is renowned for its antimicrobial properties and fragrant scent, but the surplus portion from this oil-producing plant also makes a wonderful mulch for your garden. Dark in colour and exhibiting contrasting textures with the incorporation of twisted and curved twigs, bluish-grey leaves and grey bark, this mulch enhances a native garden with its complementary qualities of being natural and character filled. 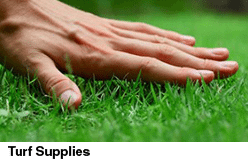 Environmentally friendly, aromatic and a truly different style, Tea Tree mulch still performs well as a water retention and weed suppression material for your garden by decomposing very slowly due to its evergreen nature. This mulch is believed by many gardeners to be the best type of mulch. Leaf mulch is created from the remnants of the tree removal and trimming process, which are put through a chipper shredder, creating an attractive textural covering. Lightweight but dense in composition, this mulch eventually decomposes into a rich compost for your garden. Leaf Mulch look and composition will vary greatly depending on the type of trees being chipped. May range from very leafy mix to nearly pure wood chip. It is a great moisture retainer and weed suppressor. How to apply mulch? This mulch is most effective when spread over the soil to a depth of 50–100mm. 10mm Softfall bark can be placed under and around children’s swings and climbing equipment for safer playing surfaces. In such cases, 300mm is the minimum depth required under Australian standards, while 400 mm depth is considered preferable to help absorb impact from a fall.